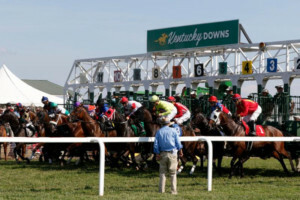 Because of business surpassing projections — including a best-ever July with its historical horse racing operation — every horse running at Kentucky Downs’ highly acclaimed September meet will earn at least $750. The new guaranteed minimum payment is 50 percent more than the previously announced $500 that already was the highest at an American racetrack. July proved Kentucky Downs’ second-best month ever for betting on historical horse racing, the innovative technology that marries live racing’s pari-mutuel technology with electronic-gaming terminals based on previously-run races. A total of $56,886,508 was bet in July — a 40-percent jump over July, 2016. The track’s record month for HHR remains this past March at $57,176,680, of which the vast majority goes to winning players. Kentucky Downs averages the largest fields in North America at almost 11 horses per race last year. 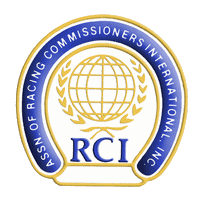 In a hike instituted in consultation with the Kentucky division of the Horsemen’s Benevolent and Protective Association, now every horse finishing sixth through 12th in non-stakes races will earn $750 during the all-grass meet Sept. 2, 7, 9, 10 and 14. First- through fifth-place horses get paid on a descending scale of 60, 20, 10, 6 and 4 percent of the published purse. The increase in the guaranteed payments through last place do not impact the money paid to the top five. Stakes have their own payments through last place, which vary depending on the size of the purse. 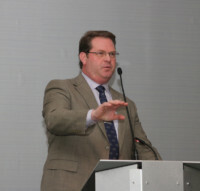 “There’s been a real recognition that owners and trainers go in a hole if their horse is not in the top few finishers, especially when you add in the cost of shipping to a track and after the jockeys’ fee, pony fee and veterinarian bills are paid, not counting additional expenses that trainers can incur,” said Marty Maline, executive director of the Kentucky HBPA, which represents owners and trainers at the commonwealth’s five thoroughbred tracks. The increase is beyond what has been published this spring in the condition book, which lays out the races offered at a meet. With up to 259 horses in the meet’s 37 non-stakes races getting the additional money, that could raise scheduled purses from an average of $1.68 million a day — tops in the nation and among the highest in the world — to almost $1.7 million.